A View From Tehran: Countdown to Apocalypse Now? Truth told, it’s a bit intense these days in Tehran as in most other countries in this region, and this observer fairly soon may be on what just might be the last Tehran-Damascus flight for some time in light of what could occur in the coming days. Not that one is in any hurry to leave the Islamic Republic. I love Iran and its people, who in their basic values and outlook on life are about as American as apple pie. Iranians think a lot like me and my friends back home, and Americans think a lot like them, this despite the extremist, politically motivated portrayals of each other designed by their governments. I have been attending the Habilian Association (families of Iranian terror victims) Congress on Terrorism and Terror Victims in Tehran, and continuing also an undertaking with students from Tehran University to survey the effects of the US-led economic sanctions. Both endeavors presented an excellent opportunity to listen to Iranian views on a number of current events. The students are examining a sanctions scheme that targets their families and countrymen, and part of their work involves a definition of “economic terrorism” (a term employed by the Pentagon when done by someone other than the US government or its allies). Rather amazing in their clarity of thinking, they exhibit truly inspiring optimism and humanity in these ominous times. 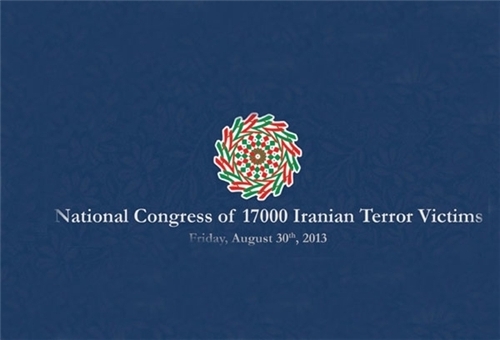 As it happens, economic terrorism was also one of the topics at the Iranian Congress on Terrorism, and the American delegation decided to focus solely on that subject during its presentation, a presentation that was months in preparation. As part of its work, the delegation presented a Draft International Convention outlawing the use of economic sanctions targeting civilians for political purposes, including regime change. Elaborating on the history of economic terrorism, the group urged the Tehran-based Non-Aligned Movement (NAM) to use its newfound international political power to lead the campaign for global ratification of the new draft convention, and to present it to the United Nations during next month’s opening session of the General Assembly. NAM leaders promised to study the draft and to arrange a consultative follow-up meeting(s). Sanctions targeting a civilian population for the political purpose of forcing regime change constitutes an act of terrorism as defined by several US government agencies—this was the position of the American delegation, and it would apply to any government, including their own, with a deep history of targeting peoples with economic sanctions (Cuba, Vietnam, China, Korea, Iran, and Nicaragua, among others, come to mind). For accuracy’s sake, it should be said that, unexpectedly, due to last minute visa problems, the whole US delegation at the Congress ended up being comprised of a total number of—well, one international lawyer. A last minute effort was indeed made to coax Jeffrey Feltman, who never has visa problems to this observer’s knowledge, and who was staying at the same hotel, to attend the Terrorism Congress, hence doubling the size, weight, and authority of the US delegation. Mr. Feltman was even offered the chairmanship of the American delegation as an incentive, but, regretfully, the gentleman declined, citing other commitments. Getting visas to visit Iran and especially Syria these days is no easy feat for Americans, given ‘payback’ or reciprocal changes in policy at both countries’ foreign ministries. Last year, revised guidelines were sent out by both governments on how to process visa requests submitted by Americans. US citizens wanting to travel to certain countries these days pay a stiff price for their government’s actions. Talking with average Iranians and shop keepers, and especially students, one gets a fairly good idea of just how engaged public opinion is in Iran on current events. It offers a very different picture than that presented by the western media, beholden as they are to their corporate paymasters, but this is beginning to be true of much of the non-western media as well. Here on the street one finds, even in the face of the ever-rising cost of living and near-rampant inflation and the suffering they engender, pride at how this country has resisted the US-led sanctions. A common view expressed in informal discussions—and also at the Congress—is that while there are many states who practice terrorism of one kind or another, including economic terrorism, the US is unusual in that its foreign relations record argues strongly that it is officially committed to international economic terrorism. Moreover, that this is on a scale far exceeding other actors on the world stage. One professor summarized for this observer his analysis of the effect of US-led sanctions, noting the severe impact on Iranian consumers at the grocery store, dramatically shrinking their real income, as well as government efforts to maintain some subsidies to lessen their impact. He also discussed innovative ways both the government and private sectors have been able to lessen the impact of some of the sanctions, while completely skirting others, mentioning as well a ‘circle the wagons’ public spirit that has arisen in unexpected ways, leading to, among other things, neighborhood initiatives designed to help one’s neighbors with economic problems. One finds also among Iranians a smoldering anger over the current chemical weapons ‘red line’ issue in Syria, along with an awareness that this may well lead to regional war. The American campaign to bomb Syria is viewed here as utmost American governmental hypocrisy. More than one interlocutor expressed disdain, remembering the Reagan administration’s actions during the late 1980s, when not only did the White House take no action when Saddam Hussein used chemical weapons—against Iranian forces as well as “his own people”—but the United States also aided the attacks by providing intelligence and firing coordinates. In other words, finding Iranians to kill, and providing gas to murder them with. The Tehran Times wrote yesterday: “U.S. intelligence officials conveyed the location of the Iranian troops to Iraq, fully aware that Saddam Hussein’s military would attack with chemical weapons, including sarin, a lethal nerve agent.” The effects of these US-facilitated gas attacks are seen everywhere in Iran today, in the skin scars and poor health of its hundreds of thousands of victims. “How can the American people accept this double standard, where its ok and your government will help to gas Iranians and your enemy’s population?” is a common question put to this observer. There is visible excitement and even a sort of joy this morning that the UK Parliament, to its great credit, just voted to reject the Cameron government’s motion authorizing British forces to boom Syria. A taxi driver expressed his hope that “Your Congress will follow the lead of the British Parliament?” Iranians appear to view the Parliamentary vote as a victory for themselves. Given the Islamic Republic’s role as a key pillar of resistance to the Zionist occupation of Palestine and US-Israel regional hegemonic goals, few here, if any, believe the US attack on Syria is not aimed at them. As the war drums become nearly deafening in certain capitals, public expressions in Iran regarding the grave prospects that are looming appear to this observer less knee-jerk rhetoric than in recent years. No doubt there are many reasons for this, including the results of the recent elections in Iran—viewed here as an encouraging sign of stability and democracy in the region. Tehran made clear to Jeffrey Feltman this week that it is ready for serious cooperation in order to peacefully resolve the crisis in Syria. As Hossein Mousavian, a researcher at Princeton University, recently pointed out, the cooperation of the US and Iran in 2001 regarding Afghanistan, resulting in the fall of the Taliban and al-Qaeda (at least for a while), is a blueprint for a new collaboration. Writes Mousavian: “This collaboration should not be limited to Syria. The Middle East requires management for the time, and therefore, crisis management (of this and other crises) would be a useful path for this collaboration.” This observer believes much of the Iranian and American public would agree, and that there are hopeful signs during this feared apocalyptic period.